Gamel underwent a MRI on Sunday that revealed the strain. He will not be ready by opening day. PEORIA, Ariz. — And it just continues. The Mariners opening day starting left fielder now won’t be ready for opening day. On the Monday offday, the team announced that outfielder Ben Gamel has been diagnosed with an oblique strain and is out 4-6 weeks. In a spring filled with injuries, this might be one of the worst for the Mariners. Gamel injured himself swinging in the batting cages on Friday. They initially thought it was a just “a tweak” that would keep him out 4 to 5 days. But he underwent a MRI on Saturday and team orthopedist Dr. Edward Khalfayan reviewed the results on Sunday evening. The diagnosis was worse than first expected leaving the Mariners with a hole on their opening day roster. With Gamel not available until mid-April at the earliest, the Mariners have some issues for their opening-day roster, and it appears the team will sign Ichiro to help fill the void. Guillermo Heredia, OF — fourth outfielder, who is recovering from offseason shoulder surgery. Dee Gordon, CF — healthy … for now. Currently being put in protective glass case until opening day for safety. While Heredia is ahead of schedule in his return from shoulder surgery, it would be unexpected for the Mariners to use him on an everyday basis. From a health standpoint, it may be difficult for him to hold up. And the Mariners also learned last season that exposing him as an every day player and making him face a bevy of tough right-handed pitching isn’t ideal for performance. 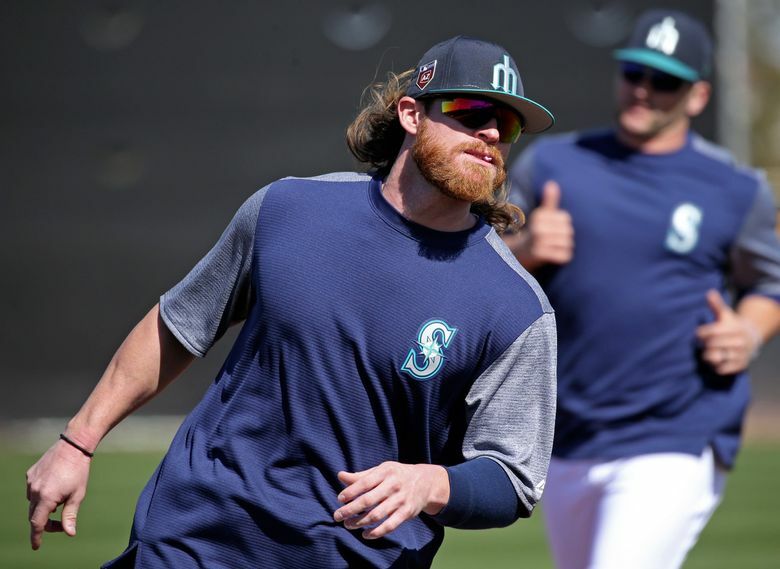 The Mariners could carry an extra utility player like Taylor Motter, who has played plenty of left field, but is also a right-handed hitter. As for using one of the remaining outfielders in camp as a fill-in, there are some issues. The most likely candidate is veteran Kirk Nieuwenhuis, who was brought in on a minor league deal. He was some insurance in case Heredia wasn’t ready to go by opening day. So he could fill that spot. Except he strained his hamstring running the bases and has been out the last week. Of that group, only Perkins is on the 40-man roster, which gives him an advantage. Both Perkins and Lake have some MLB experience. Bishop has played well this spring but has never played above Class AA. Miller played at Class AAA Tacoma last year and is a lefty-bat with exceptional speed, but likely not ready for opening day. There are also veteran outfielders like Carlos Gonzalez and Melky Cabrera who are out there waiting to join teams, and the Mariners were linked to veteran OF Jon Jay this offseason. He is also available.